Germany reaches record level of 85% renewable energy over long weekend, but days like this expected to be common by 2030. Germany achieves a record level of 85 per cent renewable energy generation on April 30 – part of the May 1 long weekend – with wind and solar providing significant lifts in output and along with biomass and hydro almost completely sidelining hard coal plants. Patrick Graichen of Agora Energiewende Initiative, which provided these graphs, says a combination of breezy and sunny weather in the north and warm weather in the south saw Germany’s May 1 holiday weekend powered almost exclusively by renewable resources. “Most of Germany’s coal-fired power stations were not even operating on Sunday April 30th, with renewable sources accounting for 85 per cent of electricity across the country,” he said. “Nuclear power sources, which are planned to be completely phased out by 2022, were also severely reduced. Graichen says days like April 30 would be “completely normal” by 2030, as the federal government’s Energiewende (energy transition) initiative continues to add value to the wealth of resources invested in it. These graph above show another view of the weekend, highlighting the big lifting wind and solar compared with the previous few days in the first graph (to left) and the fall in nuclear and coal (top right), the high level of exports to neighbouring countries (including nuclear France) and the fall into negative prices (bottom right). Any showing power demand please Neville? Very nice link, thank you . Germany still uses about 5GW of gas, and this does not seem to vary , it appears to act as a baseload type generator. They still have scope for much more renewables installations, and although they seem well connected to neighbouring countries, they could benefit from battery type storage in EV and other stationary applications. I wouldn’t call biomass a ‘renewable’ energy source. It’s simply burning carbon and extracting the heat. 1. Ensure harvested biomass doesn’t destroy any native habitat or compete with food crops. 2. Ensure what you replant sequesters all the carbon generated by the biomass combustion (good luck with that). 4. Account for all transport of the biomass fuel (such as US forests to Drax power station in the UK). Forget biomass unless it is a by-product of an existing industry. For God’s sake, wind and solar can be found everywhere. It can make scenes in a zero emissions economy not for general stationary energy but for backup during wind and solar droughts during winter and for liquid fuels where EVs aren’t possible (for now). Plantation trees on previously cleared land can help with dry-land salinity issues and make habitat corridors. So it has co-benefit too. What about turning waste biomass into gas and liquid fuel? Isn’t this where some of our renewable energy is going to come from in future? Isn’t this where the “10” in e10 is coming from? Is “nuclear France” a new country? Does Germany’s energy revolution include an end to their coal financing? This is unfortunately a slow battle. Subsidies for hard coal mining will expire in 2018 while brown coal continues to benefit from an absence of royalties. Over the next years, lignite power plant operators will be paid to close some units, rather than punished for keeping superfluous generators running. This effectively spells an additional subsidy, albeit one that will at least reduce emissions. German coal’s biggest advantage, however, remains the trifling penalty its pays for CO2. Europe’s carbon price of around 5 euros/t reflects a supply glut in the carbon market – but it bears no relation to the true value of these emissions in a world trying to limit climate change. Germany has backed EU measures to tighten carbon market supply. These ought to force prices higher. But the EU ETS also has a disappointing track record and there is no guarantee supply curbs will cause the kinds of prices that threaten German lignite. Meanwhile, Berlin has shied away from the kind of direct price controls that have helped the UK slash its coal generation by 80% within the space of a few years. Pressure for an orderly exit from coal generation is mounting in Germany (even among some utilities), but both major parties have distanced themselves from the idea. This year’s election offers some potential for change. As does the completion of the 2022 nuclear exit and the likely failure to meet the country’s 2020 climate target. Over the longer run, lignite is completely incompatible with a system of increasing solar and wind penetration. If the government doesn’t come up with a plan to end coal, the market will eventually do it rather brutally – but at needless expense in terms of unnecessary emissions, employment disruptions and energy security. I was talking about Germany’s financing of coal overseas as detailed in the report I linked. What is he referring to there, that global warming will make this day normal? Absurd. And I hate sites that have little dinky graphs you can’t click on to enlarge, can’t tell crap from them. 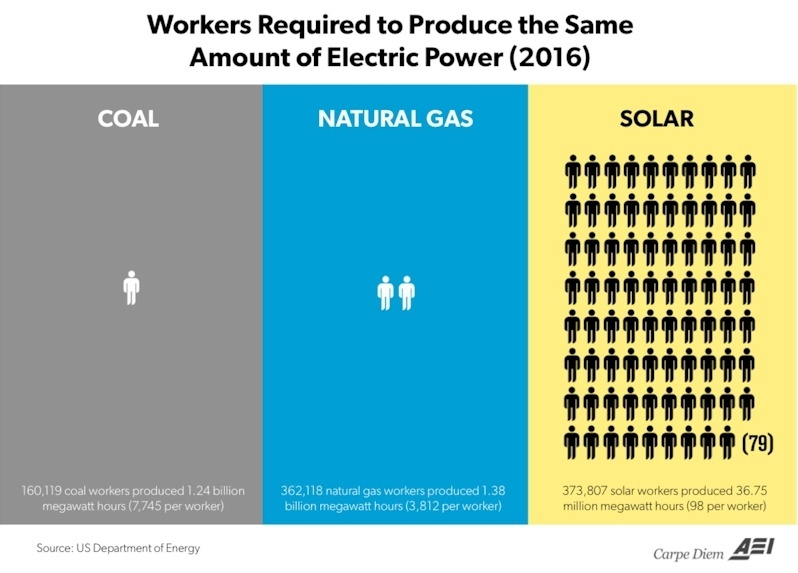 The utter insanity of “renewable” energy is laughable. the most wonderful thing after the sliced bread, don’tcha kno’??! Yes sir dude, that’s a very telling graph. Hi Min. I was on vacation and set it to private. I try to remember to go to your acct but my memory is schit and getting worse. I was thinking that maybe someone was stalking you or something ha! There is someone that I consider more a pest than a stalker. I don’t like to leave my account open and unattended for more than a day or two. Hope it was some place warm. Looks like you are about to get hit with ANOTHER snow dump. Summerland Key, about 20m North of Key West. Yeah, it was warm alright, and I got a nasty sunburn while fishing Friday. But we caught 5 good sized red snappers and 2 medium sized bluefish that made it into a terrific fish stew my wife put together, and it was worth losing a layer of skin over it. Our local weather forecasters are saying we should dodge a major snowfall this time, promising no more than 3-4″. I’m so done with snow. Give me the sun burn! It’s better than freezer burn all day! Love red snapper! Pecan encrusted red snapper in a carmel cream sauce. Well, it wasn’t as fancy as all that, Shawn. Besides, I have a nut allergy which eliminates those Pecans. But the snapper and bluefish were chunked and cooked in a pan with crushed tomatoes, onions, garlic, celery, diced potatoes and a bunch of seasonings. Along with some corn muffins she whipped up, it was a great dinner. Many people are allergic to nuts. But yours sounds great! Are you saying you like my nuts ??? Gee, Shawn, I didn’t know you cared. Ouch … ouch … ouch, this is just soo wrong, Shawn, lol. Actually a GOOD idea and smart thing to do!!! By that he means the growing share of solar and wind in the generation mix will see days of exceptionally high penetration become far more frequent. Last year renewables accounted for ~32% of the power mix, by 2030 they are to meet ~50%. This goal informs how much is installed each year. The trajectory implies a shrinking role – and shrinking margins – for thermal generation. What it means moron is that renewable energy is unsustainable and too expensive for the masses. Installed capacity nor sometime power is not efficient nor reliable. Even with storage it’s too expensive and as penetration increases electricity prices will go up. You can’t subsidize your way to prosperity and renewables are way over subsidized. Grand Debacle: Germany’s Renewable Energy Effort Turning Into A Colossal, Costly And Senseless Failure! It’s what happens when you let bureaucrats micro manage things.